Narendra Modi went for the visit to U.S. There he addresses our Indian people who leaved in America. 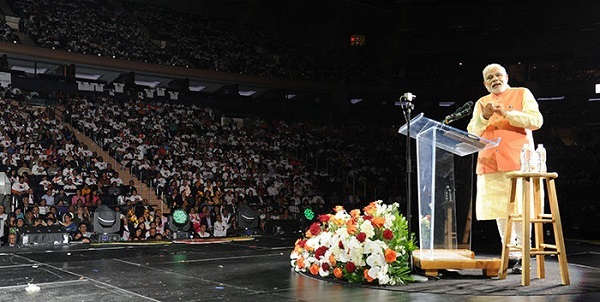 He addressed at Madison Square Garden (MSG) in New York. Over 20,000 people came from different region of America for hearing Namo. 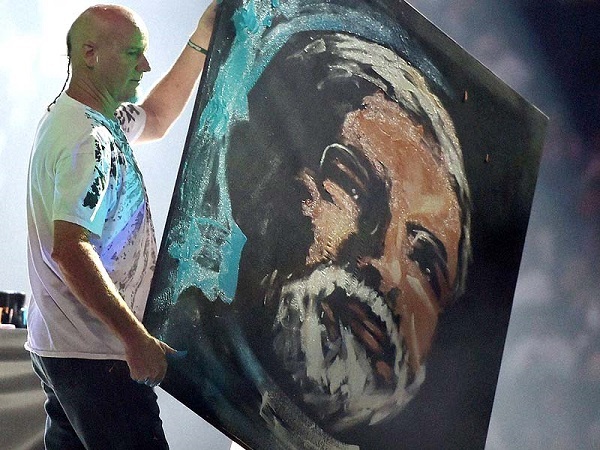 As there are big fans of Modi in India, we have seen same fan following in America as well. Before Modi, Dr. Manmohan Singh also went to US trip for 7 times after becoming PM but there was no such huge crowd gathering. But this time its Modi wave in America. All the news channel are always showing the news of Modi, where he went, what he will do, when etc. I don’t think any news channel would have not shown Modi after becoming PM. He is in news in any form by giving any decision or taking any steps in the constituency. The event at MSG started with traditional and folk dances of Gujarat, Rajasthan and on many popular songs. When Modi arrived on stage to give speech everywhere around people were roaring “Modi Modi Modi …..”. The crowd was looking enthusiastic and energetic. They were cheering all over the speech. The speech of Modi was remarkable. He gave the speech in Hindi. He invited all the CEO’s and other businessman’s to India for starting business. He made a remarkable journey to America meeting with Obama and 17 CEO’s of giant companies. Let’s hope his journey may prove what we wanted.